To show all software that can be removed from your computer (including protected Windows services), you can manually edit (using notepad for example) the sysoc.inf file located in Windowsinf. Just remove the word hide next to the software pack. To access the Task Manager easier, you can make a shortcut that points to %windir%system32taskmgr.exe. Go to Task Manager – processes and end the process explorer.exe. This will end only your session and not all applications. Then go to Applications tab, click New task and type runas /user:Domainnameusername explorer.exe. A password prompt will appear to login to the desired username. The user’s session will start, with all your previously applications running. to end the specific task. This forces an instant closing of the task. 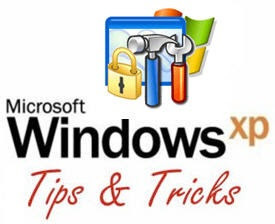 If your system failes to start due to an error related to missing HAL.DLL, invalid Boot.ini or any other critical system boot files you can repair this by using the XP installation CD. Simply boot from your XP Setup CD and enter the Recovery Console. Then run “attrib -H -R -S” on the C:Boot.ini file and delete it. Run “Bootcfg /Rebuild” and then Fixboot. Hacking Class 14 – How to Deface Websites Using SQL and Php Scripting? Hats off……….to u SIR….Pls keep going…i was really in need of the person like you…most of the people have knowledge but lesser share it….